Dr Alice Gorman is an internationally recognised leader in the emerging field of space archaeology. She is a faculty member of the International Space University’s Southern Hemisphere Space Program in Adelaide and a Senior Lecturer in the Department of Archaeology at Flinders University, where she teaches the Archaeology of Modern Society. Her research focuses on the archaeology and heritage of space exploration, including space junk, planetary landing sites, off-earth mining, rocket launch pads and antennas. 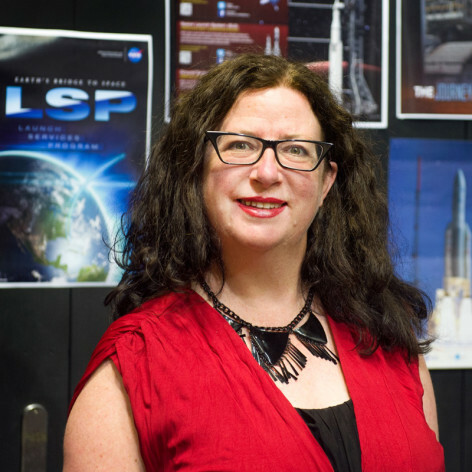 She is a member of the American Institute of Aeronautics and Astronautics, the Advisory Council of the Space Industry Association of Australia and the Australian Institute of Aboriginal and Torres Strait Islander Studies. Her writing has been selected three times for The Best Australian Science Writing anthology, and in 2016 she was shortlisted for the Bragg Prize in Science Writing. She tweets as @drspacejunk and blogs at Space Age Archaeology.